Good conditions with a 12kn breeze and sun prevailed yesterday on Hyères Bay during the Medal Races of the Lasers. Marit Bouwmeester NED was the premature winner before the final race of the Lasers Radial with the record-size advantage of 56 points ! She also won the Medal Race demonstrating her superiority right to the end. 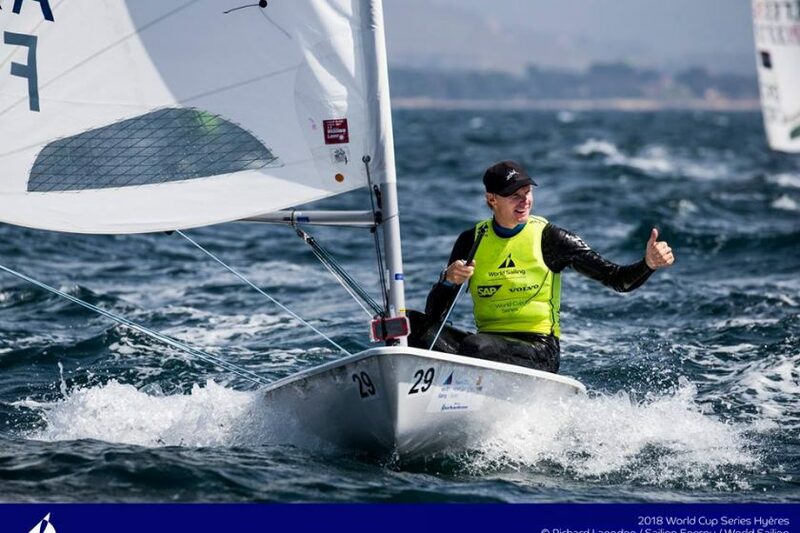 Monika Mikkola FIN controlled the attacking Paige Railey USA during the whole race sailing her down in the fleet finishing on the ranks 7 and 8. Mikkola grasped Silver, Railey Bronze. No change on the podium in the Lasers Standard: Jean-Baptiste Bernaz FRA won on his home waters ahead of Sam Meech NZL and Tom Burton AUS. All ranking lists, the final report and the videos of the Medal Races.